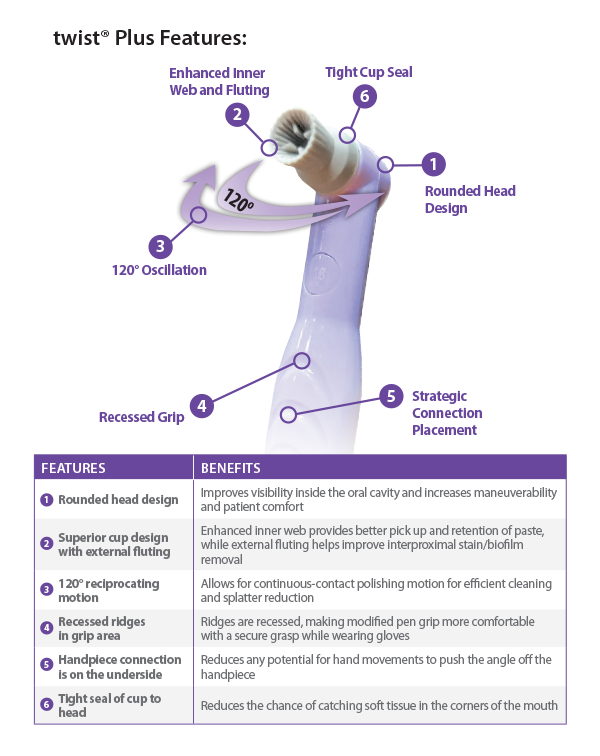 twist® Plus will change the way you think about disposable prophy angles! The twist® Plus prophy angle is the ONLY disposable that oscillates 120º in a smooth, continuous counter-rotational motion to eliminate the splatter and frictional heat associated with traditional 360° spinning prophy angles. Less spin means less splatter and less frictional heat -- allows for continuous-contact polishing!